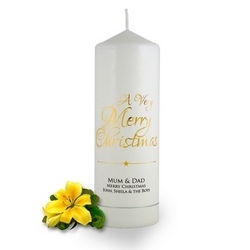 We all know how difficult it is buying a Christmas gift for family and friends so you will be happy to discover that Brinley Williams have expanded its range of personalised photo candles to include a Christmas Photo candle range. Quite simply you select the frame you would like and simply upload your chosen image and enter your desired personalisation. If you would like to add a candle holder then you can pop on over to the candle holder section . With the holiday season around the corner, making the most of our Christmas candles are wonderful way to give your festive decorations a sense of classical Christmas luxury. Full of ethereal beauty that infuses your Christmas decorations with seasonal magic, Brinley Williams Christmas candle offer intricate, unique and elaborate patterns to go perfectly with your décor. You can place the candles on the dining table, upon a mantelpiece or in a fireplace-using them to countdown the days until Christmas arrives. 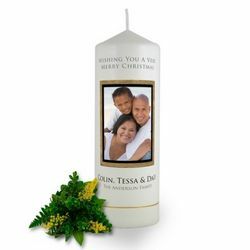 To top it off, you can also purchase from our Christmas photo candle range where you upload your desired image and enter your desired personal message. 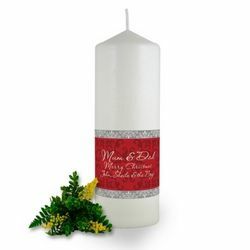 Brinley Williams Christmas candle are a simple but treasured Christmas gift. 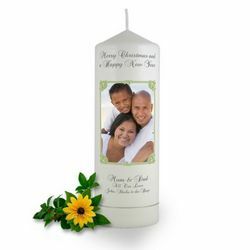 They add the feeling of Christmas; when the candle is burning you feel the holiday spirit throughout the house. Featuring the season’s classical designs, our candles are designed for longevity throughout the holiday time. As the anticipation builds for the excitement of Christmas, we gather and enjoy relaxing nights before the frenzy begins. Brinley Williams Christmas candles foster the traditional holiday feeling of warm hearth and are the perfect accompaniments to one of the most joyous day of the year. There’s nothing as precious as the light of Christmas.